Hi Jared, can you please answer me this question ? I had a 22"1680x1050 monitor and I was very annoyed by the "sieve effect". Basically i saw the blackness between the pixels. For that reason mostly i upgraded to a 24" 1920x1200 TN panel lcd and i still spot very well the black between pixels and it is annoying me. Now you will ask how far i am standing from the monitor. I am at 2 thirds of a meter away, or 2 feet, and i really can't go any farther than that because the monitor becomes too small in my field of view. I know that the lower pixel pith will make the blackness between pixels less noticeable, but my question is how much less ? Also, is the proportional distance between pixels smaller compared to other models ? I'm just making this up, but let's say that on a 24" 1920x1200 monitor 90% of the screen space is pixels, and 10% is the black space between them. Does this Dell have less black space proportionally or it maintains the same ration, like 5% black space ? An interesting article Jarrad. Clearly from the derth of discussion, screens are very important to us all. Although I don't feel that old, and enjoy gaming to the max, I clearly remember the days when there was no such thing as a visual display unit (as we called them when they were first used). Since those heady days in the late 60's we have sure come a long way from those green screens to that which is the subject of your article. Surprisingly, having read all the post article discussion, no mention has been made of the new 120Hz screens. You did mention 60Hz at one point in the discussion. 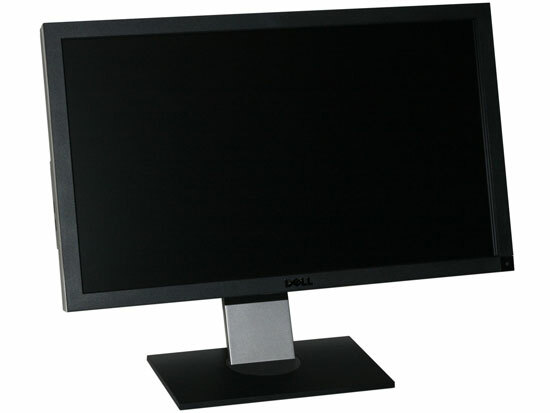 I just built a nice gaming PC for a mate, and bought a new 120Hz screen to go with that. All I can say, it beats all the other screens in the house from 30" to 22" to an old 21CRT.......mind you when the CRT was in it's hayday, maybe similar. It is very impressive, and was nowhere near the cost of the sceen in your article. I couldn't get any report of the manufacturer; I used to get decent results from Astra32, but now the manufacturers have gotten smart and Dell writes their own name in the firmware. So this panel tells me it's a "Dell U2711". LOL.